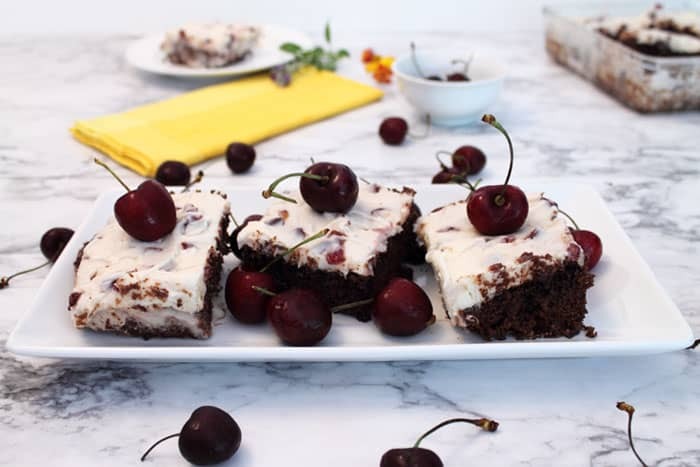 Nothing could be easier than our black cherry brownies. 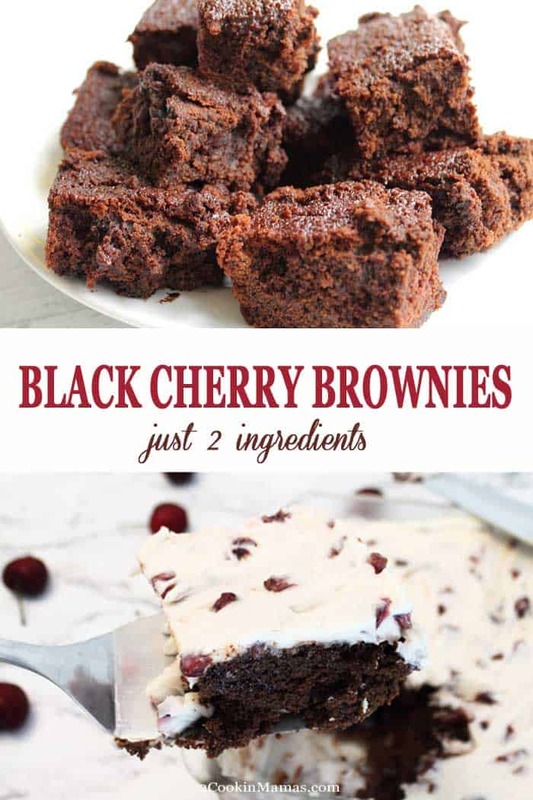 Just 2-ingredients, a can of black cherry soda & a brownie mix, and bake. That’s it! Really! 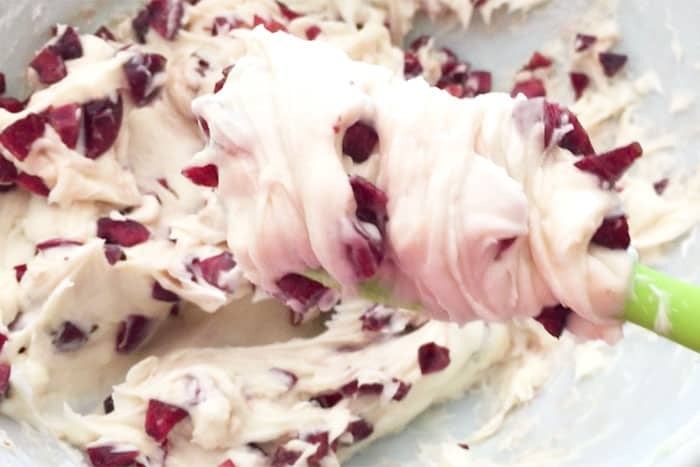 To top them, whip up an easy cream cheese frosting with fresh pieces of black cherries mixed in, to make a dessert that will knock your socks off. 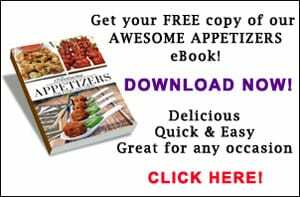 There are so many shortcuts you can take to make a really spectacular dessert, or for that matter, even a meal. These shortcuts usually involve a packaged product that takes away some, if not all, of the steps and saves time in the process. Have you ever heard of cookies made with pudding, like our Chocolate Peppermint Cookies and Pistachio Cherry Meltaways, or homemade cakes that start with a cake mix, like our Banana Crunch Cake & Mandarin Orange Cake? These are all delicious and taste like a million bucks but all made simpler by starting with a packaged product. 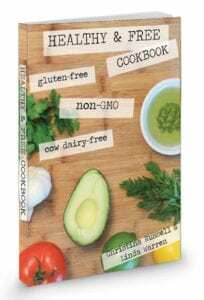 So why am I talking about how to make desserts easier when brownies must be just about the easiest thing there is to make? Well, ’cause I just made it even easier! I had heard of making cakes by just adding soda, aka soda pop, and thought, why not try it with brownies. See where I’m going here. 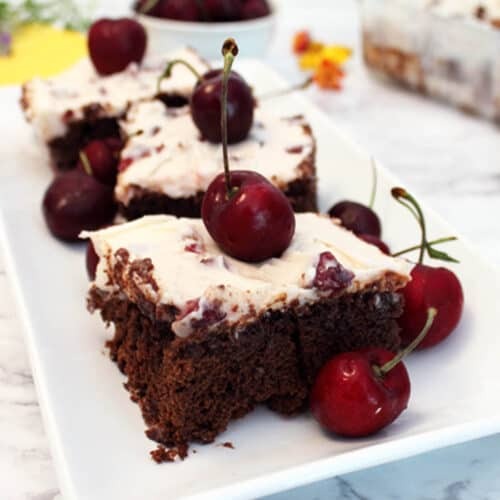 Since cherries are in season right now it seemed appropriate to flavor the brownies with a cherry flavored soda, kind of on the order of a Black Forest Cake. So I bought some black cherry soda to make the brownies and some fresh cherries to mix with cream cheese to frost the top. The brownies really don’t even need the frosting but it’s sooo good. Now read carefully because you don’t want to miss a step. (just kidding) In a large bowl, combine the brownie mix, yes that’s right, a packaged brownie mix, I used Ghiradelli Dark Chocolate, and the black cherry soda. Then listen, you can hear all the little bubbles fizzing away as it mixes with the brownie mix. Pour it into a square baking dish, put it in the oven and you’re done. That’s it! 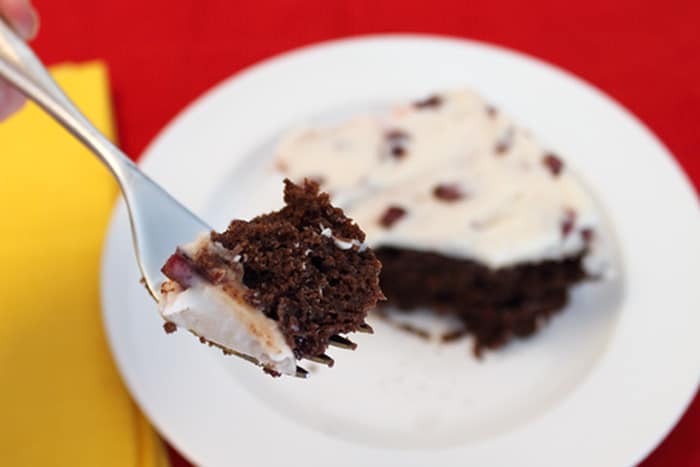 When the brownies are cool, whip up the frosting and add your chopped cherries. Doesn’t that look like you could just lick it right out of the bowl? But don’t ’cause it tastes so good on top of the brownies. 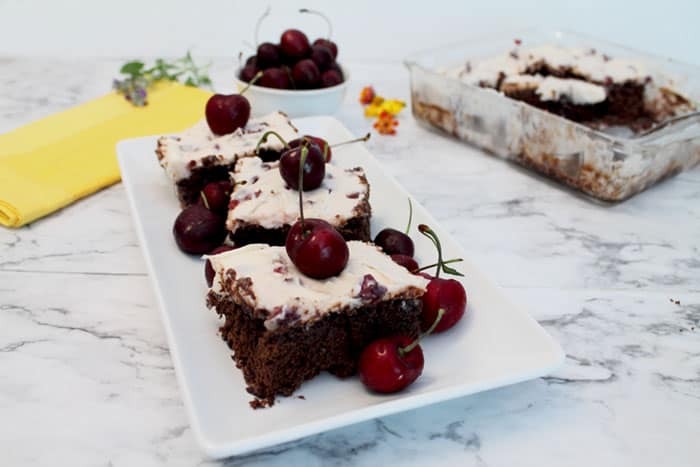 Frost the brownies, decorate with a few whole cherries, chill in the fridge, then watch them disappear. I gave mine to the neighbors and they said they would take more any time I felt like baking them. That always makes me smile. 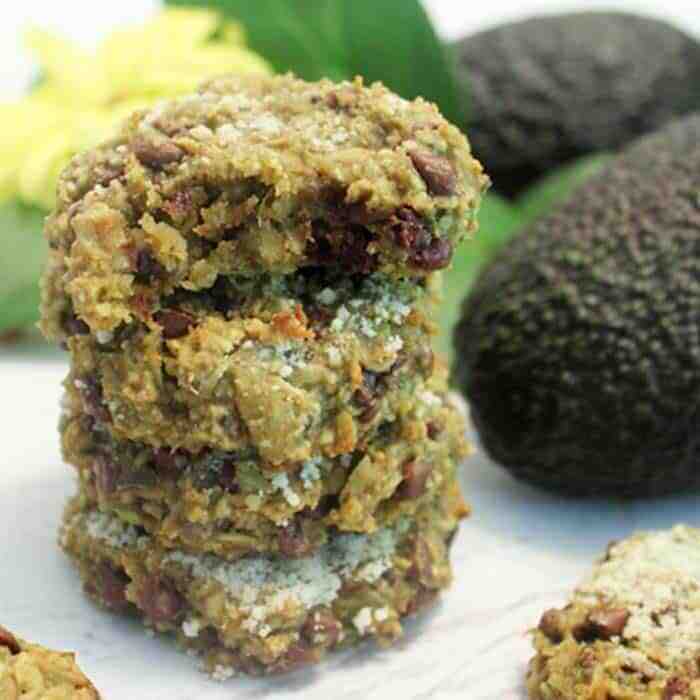 Perfect for summer picnics and yummy enough for company. But don’t tell them how easy they are to make, let’s just keep it our little secret. 🙂 Enjoy! 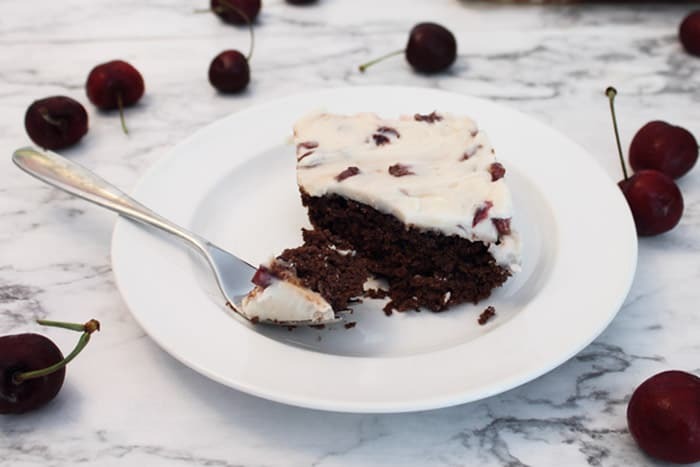 Nothing could be easier than our black cherry brownies. 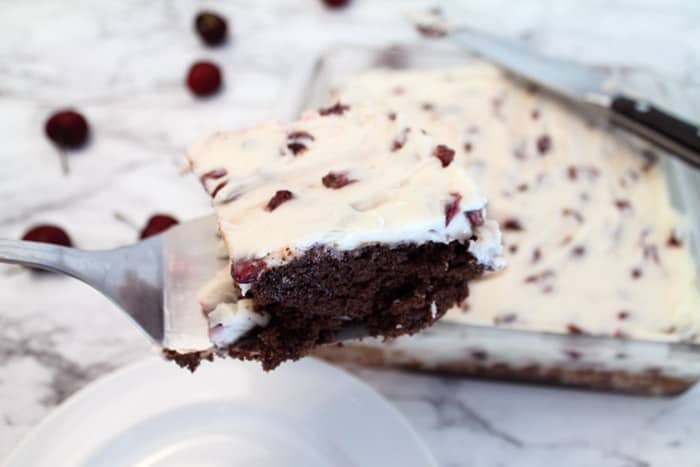 Just a can of black cherry soda & a brownie mix will make a dessert that will knock your socks off. 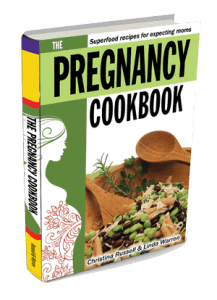 Preheat oven to 325 degrees or temperature recommended on brownie mix package. Spray an 8x8 square baking dish with nonstick spray. Dust lightly with flour. 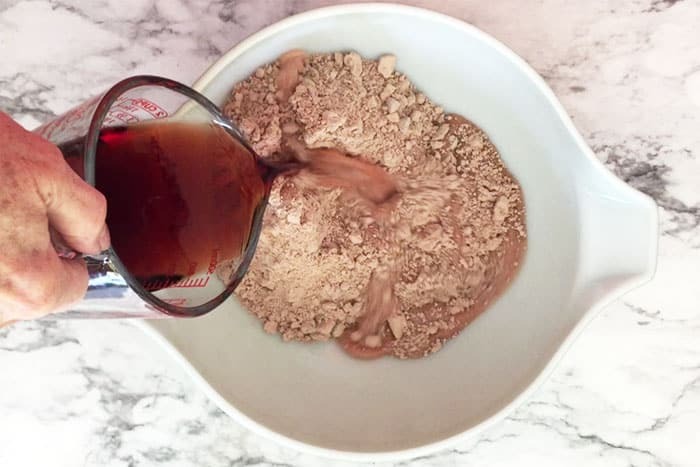 In a large mixing bowl, combine brownie mix with black cherry soda and mix until just combined. Bake in oven for approximately 5-7 minutes less than the box calls for. When ready to frost, combine softened cream cheese and butter in a medium bowl of an electric mixer & beat until smooth. 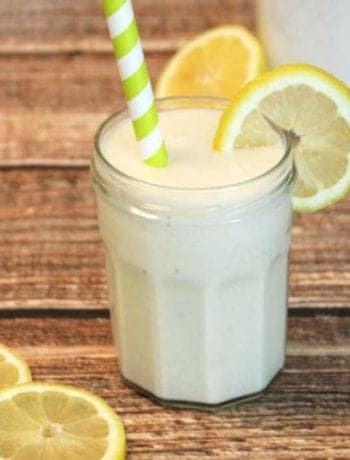 Continue beating while adding vanilla. Turn mixer down to low and slowly add powdered sugar. Continue beating until creamy. Toss in black cherry pieces and stir well. Frost top of brownies and place in refrigerator to chill. Love desserts or just looking at them? 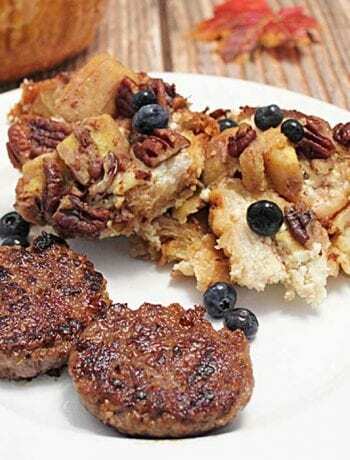 Check out our Delectable Desserts group board on Pinterest and I dare you not to drool! Want to join? 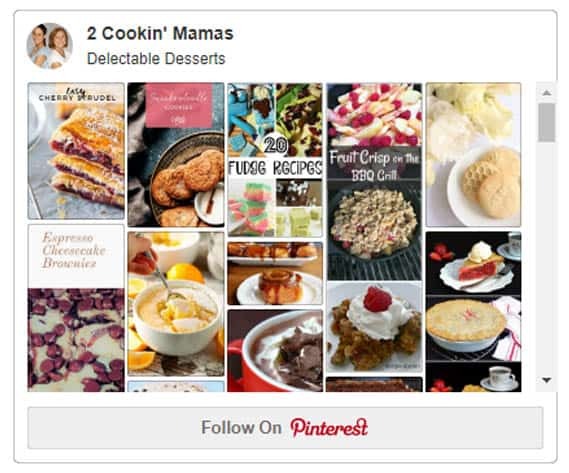 Just email me at linda@2cookinmamas.com with your Pinterest url and I’ll be glad to add you.